The 8-in-1 All Over Grooming Kit also has a nose and ear hair attachment. 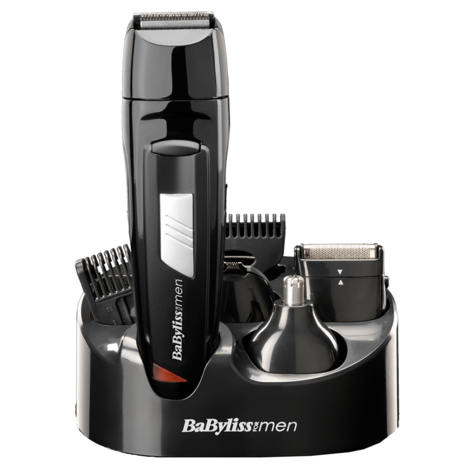 Its easy to us--simply insert the trimmer head into your nose or ear and trim the hair by moving it in a circular motion. The trimmer should only be used at the entrance to the ears or nose. Use any deeper than this can cause injury. The BaByliss For Men 8-in-1 All Over Grooming Kit comes with a storage stand that is able to hold the trimmer and all four trimmer heads and accessories. Youll never be caught out with an uncharged trimmer again, thanks to the charging capability of the storage stand. 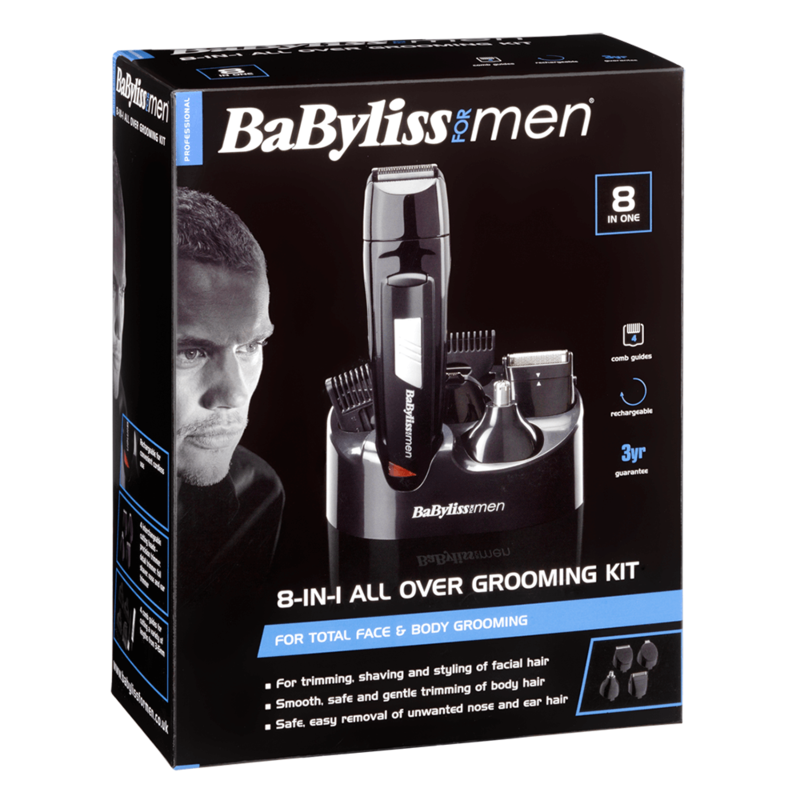 Before using your trimmer for the first time though, you must charge it continuously for 16 hours. 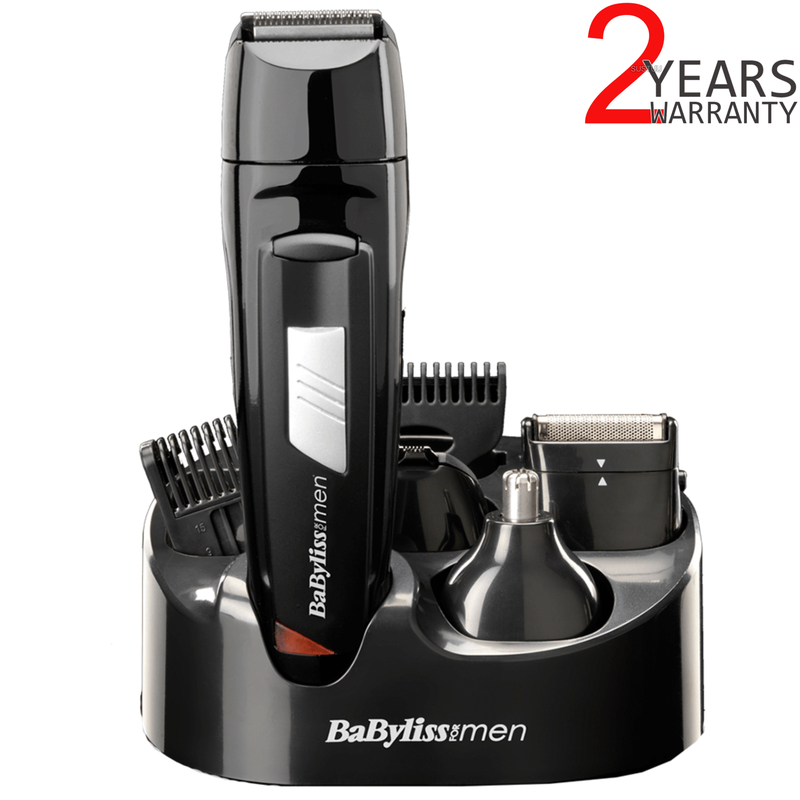 This initial super-charge ensures optimum power performance to ensure smooth fast trimming every time. Your appliances maximum battery capacity will only be reached after three charging and discharging cycles. To maintain optimum performance of your trimmer, it is important to clean away any loose hairs that have collected in the trimmer after each use. A cleaning brush and lubricating oil are provided for this task. 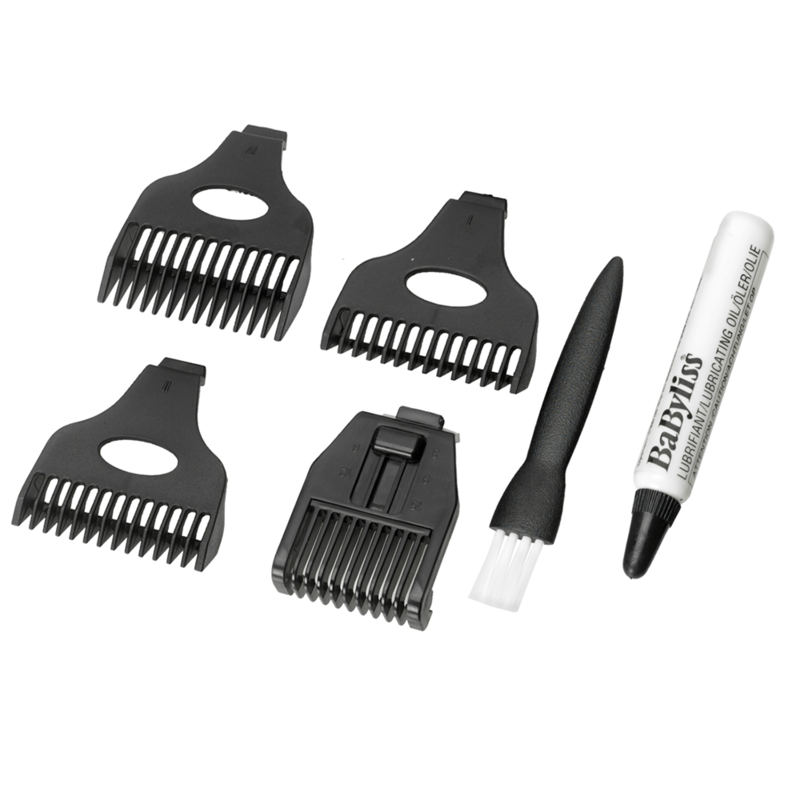 Its as simple as removing the comb guides, brushing them, rinsing them under water and allowing them to dry thoroughly. The trimmer head should be removed, brushed, replaced and then oiled with the oil provided. The shaver head can be removed, the foil taken out, and the then the head and trimmers (not the foil) can be brushed with the cleaning brush.